I received your long looked for letter Friday so glad to hear once more from you and yours only so sorry to hear of Dear Mothers death, although I never remember her as my mother, yet I have still that daughter love in my heart that rightly belonged to her. I had a good cry when I read your letter because I had been thinking in my own mind so strongly that as soon as the girls had got a little larger, I should have tried so hard some way to have made the trip home to see Dear Mother and you folks, so it went pretty hard to think I shall never see her…..How is Anna now a days and all the dear little ones? We are all fine. Doctor is busy most of the time, he is real well, he weighs 196 pounds…..You all can remember her, but as for me you know just how it is better than I do…..Dear Brother tell me about mother’s sickness and death and tell me when she died, you know if you were away from all the home folks as I am your heart would ache as mine does many and many a times a week without any of the family knowing anything about what a heavy heart I have. You, nor anyone else can’t understand these things as I do. The only thing that keeps me up as I do, is the ever lasting arms of Jesus that are always ready to help us in our lonely moments……bye with any amount of kisses.xxxxxxxx"
Kansas City, MO. Renick, Charles V. Jackson County, Criminal court letterhead. In pencil dated 6/3/1903. A personal letter with great content, by the Clerk of the Criminal court addressed to a friend: “My old friend Billie… you stick so close to Pony, [Missouri] now, don’t think that I don’t like Pony, and Pony people, infact I have wanted to come back to Pony ever since I left… why don’t you come to Butte once in a year, and call a fellow up and have a few more ‘bunches of rye’ together. One cant get lonsmn out here for there is an missalaneous croud dropping in here … as any Bohemian quarter in Paris.“ He then writes about his brother in law taking a “trip down the Mazoo” which will be a failure as “money making scheme.” “I will spend the late fall and all of winter in Southern California, Utah & New Mexico…I have seen some very bum prize fights… there has only been two good ones.” Etc… Signed “Chas Renick”. This letter is for sale on Ebay Item number: 200201289929. Feb. 3, 1819, Post Office New York City. Fascinating handwritten letter from New York Postmaster Theodorus Bailey to R. J. Meigs, Esq., Post Master General. "I have the pleasure to inform you that two of the mail robbers mentioned in my letter of yesterday (their names, Maurice and Bertrand, both Frenchmen) were this morning apprehended by two of our Police Officers, and are now under examination before our City Police magistrates - they found upon them, secreted in their Clothes, about one thousand dollars - the search not yet compleated. The third robber is also a Frenchman of the name of Doctr Henvie who it is believed is making his way for Philada..."
Letter from David Coffin, Newburyport, Massachusetts, dated January 22, 1807, to Robert Boyd, a Portland, Maine merchant. Coffin is looking to buy 60,000 feet of pine boards, six thousand oak staves and "good American cordage". 55 letters written to a man by the name of Thomas P. Wickes. They are personal and business letters received by Wickes who just graduated from Yale. Most of them are of a personal nature though. They start in June and go through October of 1874. Thomas spends his summer sketching and trying to sell the sketches to illustrated newspapers and tries in the fall to get employment as a bass singer in a church choir. His friends are off at employment in San Francisco or Chicago, or at graduate school in New Haven, or on Grand tours in Europe. There are wonderful letter heads and many of the letters are several pages long. One letter that is not to him is actually from him. It is a 2 ½ page handwritten manuscript by Wickes himself. They are his own notes on Block Island’s geography and his appeal to the tourists which is to accompany sketches he is doing. A most interesting thing about these letters is the fact that most of the writers were former graduates of Yale and also members of the Skull and Bones Organization. In fact many of the men sign their letters with the words “Bones” or “Fellow Bonesman” or even the number “322” which is very significant when it comes to the organization. There are several letters addressing the issue of a particular “Book” that was taken out of the Skull and Bones” Temple” and given to Wicke’s himself. The book, by the sounds of one of the letters, wasn’t supposed to be removed and very few members knew it was. Some of the names in the letters are; Frank Spencer Witherbee, Fred Kernochan, H. G. Bixly, Henry H. Babcock, George Richmond, Watson Robertson Sperry and family (just their calling cards), Samuel Clark Bushnell, Henry W. Farnam, Thomas Williams Grover, J. D. Ball, Rockwell King, James Parkman, A. H. Messiter, W. D. Anderson, Whittemore, Horace Chittenden, Russell Walden, George Edmund Munroe and more. Some of the letters are also from his family members. 1) A note and a pharmacist’s envelope enclosing that says “I am in despair” It also has a hand drawn postage stamp. 2) “Newport June 22, My Dear Wickes, Yours of the 20th inst just recd. I am sorry of course to hear that any of your club have suffered from the panic or in any other way but surely no one of the pats? has any right to feel that you are not doing all your duty for three very good reasons. First the gift to the fund should be in every respect voluntary and not obligatory in any sense. Second, you have already spent so much on our dear old Temple………Yours always in Bones, I. Fred. Kernochan.” More to that letter. 3) One page letter on a “Nashua Lock Co.” letterhead. From H. G. Bixly. He wishes to meet him in New York and more. 5) E. H. W. author of this letter. New York June 24th, Message to their mother, Mr. Westen came to visit, and more. 6) E. H. W. from New York telegraphing June 26 that Mary left a cashmere sacque at hotel. 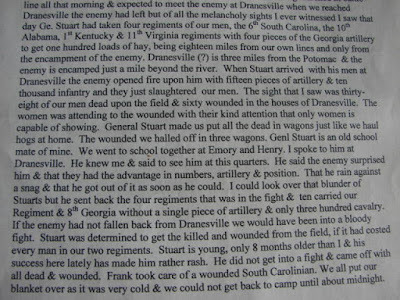 7) 4 pages letter; “Orleans June 28th, 1874. No. 2 ______Ave. My Dear Tom, This doubtless has been a very busy as well as a very agreeable month for you and ere these lines reach their destination, what remains of Yale 74’ will in all human probability have made it obeisance and in possession of the much desired “sheepskin” have made way for less worthy successors. Not however without some regrets, I presume, because that air of superiority. The three year acquisition, so inseparable upon the senior year cannot be so readily relinquished. If I ever regretted that my participation in your pleasures and troubles had not been of more active character, it is certainly now as the curtain falls upon the last act…….” He goes on to talk about his time spend abroad in Paris and says “Their religion over here would beat Goodyear’s patents out of sight as far as elasticity goes. But you could scarcely expect less where these damned Catholic priests have so strong a hold upon the nobility and the masses.” He signs his letter “The boy”. 8) Letter from Henry H. Babcock from New Haven June 29th. Wonders what he should do with the album ordered for Wickes. 9) Three calling cards. One from Miss Julia Henderson, One from Isaac Henderson and the last from Mr. and Mrs. Watson Robertson Sperry. On an additional note, Mr. Sperry was the U. S. Minister to Persia. 10) This is a 7 page letter from Frank Spencer Witherbee. I have some great information about Mr. Witherbee at the end of this description. He’s on a grand tour, exhausted by sight seeing….. “Morley’s Hotel, London. Saturday July 4th, 1874. My Dear Tom…….This time of the year the sun rises at 3:30 a.m. and sets at 8:30 p.m. Then a prolonged twilight prevails until 10 p.m. I have once or twice read a newspaper without candles at 9:30 p.m. I say without a candle for we have not struck a hotel yet where we have had gas in our rooms……I met old “Becky” in a book store last night. He was pouring over some rusty old books. At first he did not see me but knew me when I spoke to him. He is not in the least changed in looks, dress or manners. He is on his way from Germany to New Haven. I mistrust he is to have some position in the faculty…….Your aff. Friend in 322. Frank S. Witherbee.” More to this letter as he talks about a cricket match he attended with the “Elite” of London. Says the young ladies were dressed so beautiful but had very homely faces. 11) George Richmond Bookseller’s letterhead and letter. 12) Holden House Saratoga Springs Letter head. Letter from Sam Bushnell and in part reads….. “July 10th, 1874, My Dear Tom, for your sake I will play the part of the “sage” as you suggest. Don’t come to this “hole” of a Holden House. I meant nothing. This house is $2 per day. Two in a bed, six in a room, one towel for six, dish water for tea, chicken seed for coffee, no eggs, cold supper, “heavy pies” and thick headed female attendants. Go to the “Congress”, Yale’s headquarters. $3.00 per “dieue” where everything will be agreeable except, well, try it yourself. We can’t leave this……..Hence in “322” adieu to your friend, Sam C. Bushnell” Much more to this. 13) Telegram about the Columbia and Harvard game. 15) 2 ½ page letter from J.P R.W.? from San Francisco. “August 3rd, 1874, My Dear Tom, The photos are just received. They are splendid. You can’t realize the pleasure I am deriving from looking at them. Yours is “immense”. Do send me another that I may frame it. I want one for the Yale Album. Old “Rebald” looks as pious as an old wh—e at christening, as was his want in days and nights gone by. The hawk has his old look of swoop and the little fraud has “fixed” himself and tries to look 6 ft. What shall I say of Polonius……..Give my love to Polonius and all the Bloods. R. Walden” This letter has much more, especially concerning the photo and the nick names of the men in the photo. Great “Bones” letter. 16) From Sam Bushnell. Where should DeSilva send Grover’s pictures? 17) From DeSilva asking for his money again. 18) Mollie, I think his sister. Writing to thank him for the family wedding photo. 19) Uncle Robert Haskell in Lansingburgh. Writing with news about his mother. Tells him to have a good time at Block Island. Great “Floor Oil Cloths” letter head. 20) From an E.W.? A classmate of his called. Asking if he’s back in Block Island. 21) Letter from George Edmund Munroe. 22) Letter from Rockwell King in Chicago. Sorry to have missed him in N.Y.
23) Another from Sam Bushnell, tales of antics at Englewood with other classmates. 26) Thomas Wickes notes on Block Island. 27) Daily Graphic New York Letterhead. Short note from J.D. Ball. 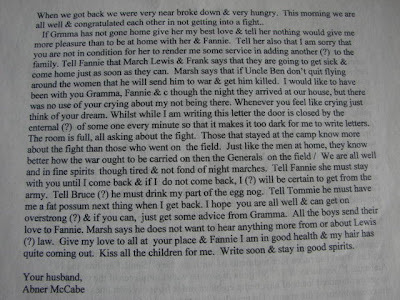 28) Eight page letter from his mother with family details. 30) Sam Bushnell. He is going to study Hebrew at Andover. Fuss between Harvard and Yale. 31) Letter from his father on a “Hudson River Oil Works” letter head. 34) Letter from Mary giving some general family news. 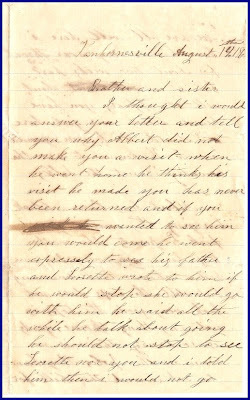 35) Letter from his brother, I believe, signs it E.W. 36) Another letter from Mollie. Details about home and more. 41) Letter from Grover who is staying at the 5th Ave. Hotel in N.Y.
42) A letter about a report that should be taken to Sam. 43) Same as above and I think these were written by Grover. This great bunch of letters is for sale on Ebay Item number: 180215136468. Just follow the links on this page if you want to take a closer look. Salt Family, Babcock Family, Platt Family. 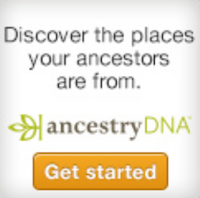 Huge Family Archive of New York genealogy. 49 Handwritten Letters. Most To The Salt, Babcock and Platt Families. Most From: "Caddie" "Mollie" Your affectionate Son, Rev. William Salt" "Your affectionate Mother, Jane Salt" A few Friends Letters also. Most From Bath, Steuben Co. NY - Branchport New York, a few from Willink NY & a few from other locations. Letters 1872 - 1910. 1800s -  1900s. Letters Mention In Part: Train Travel - Domestic Life of cleaning house and clothing being sewn - "I bake the wedding cake" - Rochester for a flag, 5 ft by 10 cotton $2.50 - Rooms for .60 & I put the door in if we want it - I have a drive of a mile every morning to say mass at the Orphan Asylum - Farming - Mothers illness, give an injection, Dr won't say - Servant problems - Site seeing in Philadelphia - Quilting - Miss Van Valkenburg to the Sanitarium for broken down health - Roast Rooster for Thanksgiving - Dr. Pawling wouldn't go to see a dying woman unless the man payed him the three dollars he owned him, Dr. Grant went ..... - Bath NY in the spring described - The boys went to Russell's for an outing on their Wheels - Bukmans [?] factory partly burned - Had Typhoid Fever - House on Steward St. has Diphtheria - & Much More. This fantastic group of letters is for sale on Ebay Item number: 330210198169. Three page Civil War Era Letter from Van Hornesville, New York. August 14, 1864. Albert & Rachel Singer write to their Brother & Sister. "Albert did not make you a visit..."
other details, "you should come to Herkerman..."
Then turns to the draft and Abraham Lincoln. Signed: Albert & Rachel Singer. This Albert & Rachel Singer letter is a great genealogy find. If you would like to see more of this letter it is on Ebay. Item number: 290204162880. 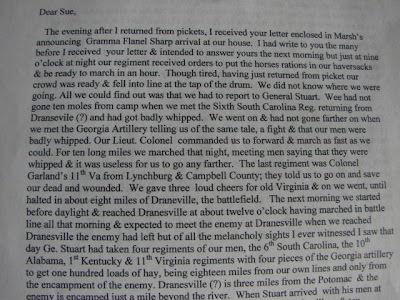 THIS IS A GREAT LETTER WRITTEN ON FOUR PAGES WITH A DESCRIPTION IN SOME DETAIL OF THE BATTLE OF DRANESVILLE AND WRITTEN FROM CAMP CENTERVILLE, VA. ON DEC. 22ND 1861 BY ABNER McCABE OF THE 18TH VIRGINIA INFANTRY. THE PHOTOS ARE OF A TRANSCRIPTION NOT THE ORIGANAL LETTER. IF YOU WANT TO SEE THE LETTER, OR MAKE A BID, JUST FOLLOW ONE OF THE LINKS TO EBAY ON THIS PAGE.